A woman has been taken to hospital with serious injuries after running herself over. This morning, the air ambulance was seen landing in Pond Lane recreation park, known to many as The Lamb park, which is opposite what is now The Park View Pub in Salvington Road. Now, the South East Coast Ambulance Service have explained why they were there. An ambulance spokesman said: “At 11.24am we responded to a report of a woman being run over by her own car at Greenland Road, Salvington. 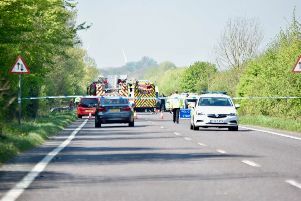 “Two cars and an ambulance were sent and the air ambulance also responded.